Welcome to A Sampling Bee! 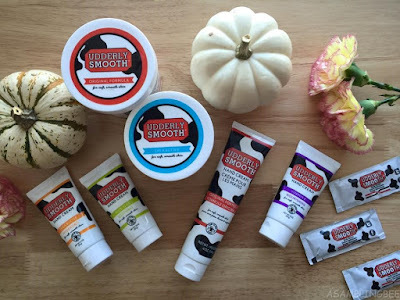 Today, I share with you other uses for Udderly Smooth's Lotions, Body Creams and Hand Creams! The uses for lotions, body creams and hand creams are endless! Today, I share with you a few ways that I use mine. Share with me how you use yours! Udderly Smooth Products are available at your local Walmart Pharmacy. In the First Aid section. This is a trick that I have been using for quite a while. I love scented lotions but I get tired of the same 'ole scented lotion. So, I buy a plain, unscented lotion, like Udderly Smooth's Shea Butter. I put a scoop of lotion in my hand and then add a little drop of my favorite scented perfume. I apply the lotion to my arms, shoulders, neck and legs. Not only do I stay moisturized all day, but I noticed that my perfume lasts longer! Next time you are at the mall or Sephora, visit a makeup counter and ask for perfume samples. You get to sample new perfumes as well as have a bunch of options for your scented lotion! I grew up loving Cross Stitch. 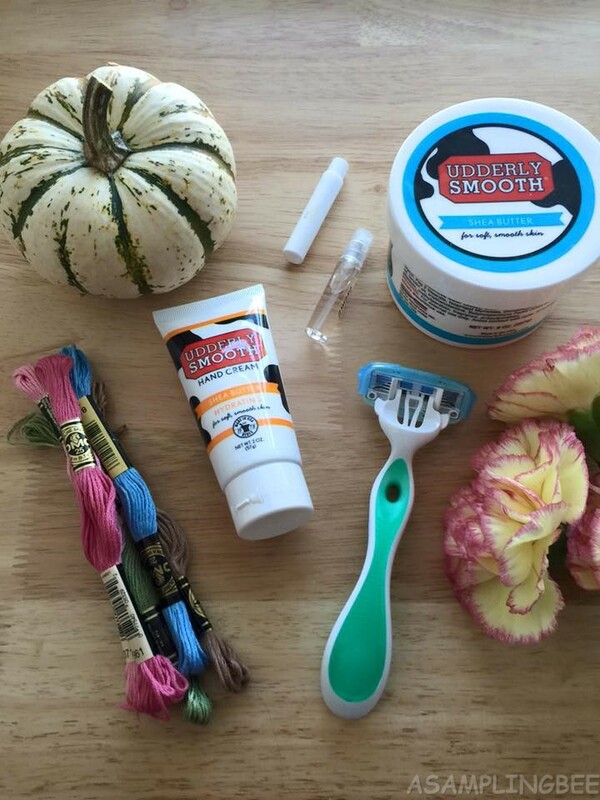 Every time I visit a cross stitch store, 99% of the time see Udderly Smooth products at the register. I use my Udderly Smooth to keep my hands smooth. As well as use the lotion to condition the threads that I am using. 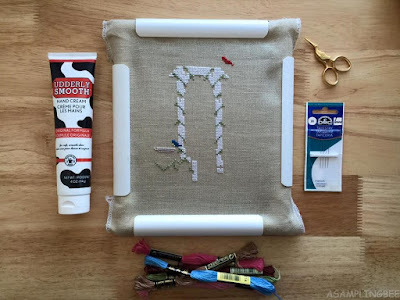 One more use for lotion when cross stitching? It's great for threading needles! 1. 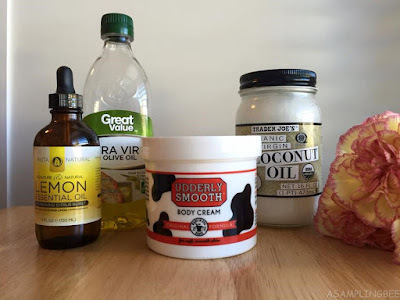 Melt 2/3 cup of coconut oil and Udderly Smooth Lotion together either in a double boiler or in the microwave. Stir in 1/4 cup of olive oil or grapeseed oil. 2. When melted, add 10-20 drops of your favorite essential oil or perfume. 3. Leave the ingredients in the bowl and give it a good stir. Set the mixture into the fridge to harden. 4. Once It has solidified (about 1 hour) remove it out the fridge and let it soften slightly. 5. Add the 2 tablespoons of baking soda and beat until all of the ingredients are a fluffy texture. 6. 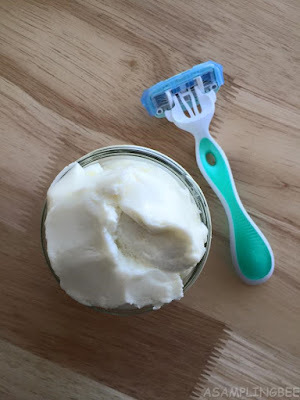 Enjoy your homemade Shaving Cream! Apply to wherever you'll be shaving and them rinse. Store Shaving Cream in a cool, dark area. I always use lotion instead of shaving cream. This was the first time that I made Homemade Shaving Cream. I used lemon essential oil in my shaving cream and it smells fantastic! Homemade shaving cream is so much better than store bought. There are no harsh chemicals added when it's homemade. You know what is in it! Udderly Smooth products are made in the USA and do not contain any harsh chemicals. Udderly Smooth products are available at Walmart Pharmacy, Amazon.com, CVS, Wegmans, Walgreens, etc. 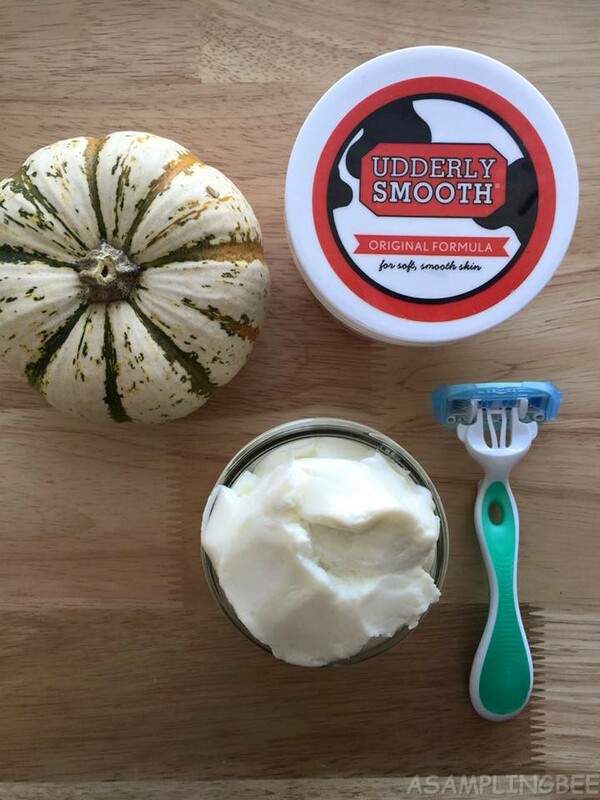 To see if Udderly Smooth products are available at a store near you, visit HERE! I received free Udderly Smooth products to create this post. All opinions are my own! Always! This is a great idea! 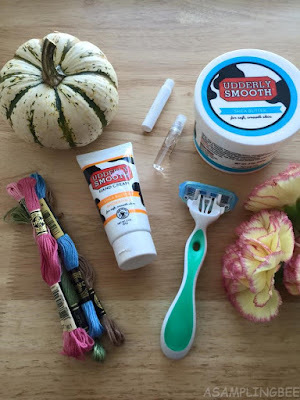 I'm not very creative, but I did craft up some DIY recipes using my Udderly Smooth! I'm going to have to try this one!